The cell has developed different mechanisms to achieve the appropriate distribution of biomolecules, such as vesicle trafficking or the transport of mRNA coupled to local translation. Both pathways are engaged to the same ultimate goal: concentrate specific active biomolecules in defined subcellular compartments. Neural activity is an example where both pathways synergize. For instance, vesicle trafficking (i.e. exocytosis) and mRNA transport coupled to local translation are key in the establishment of long-term memory and neural plasticity. Several experiments suggest that both processes are interconnected. Although the precise molecular mechanism has not been investigated, some of the machinery in charge of regulating vesicle trafficking has been reported to be targeted by mRNA localization. 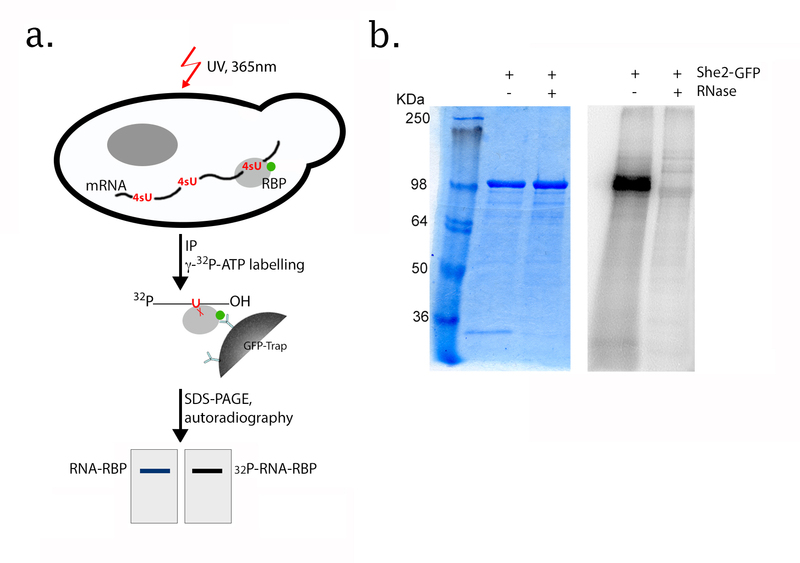 In this project we combine biochemical assays (Figure 1) and imaging techniques (Figure 2) to study protein-RNA interactions in the model organism Saccharomyces cerevisiae to investigate the relevance of the link between vesicular transport and mRNA localization. Figure 1: Detection of protein-RNA interactions. (a) Illustration of the protocol followed. (b) Immunoprecipitation followed by radiolabelling demonstrates that She2 is a RNA-binding protein. 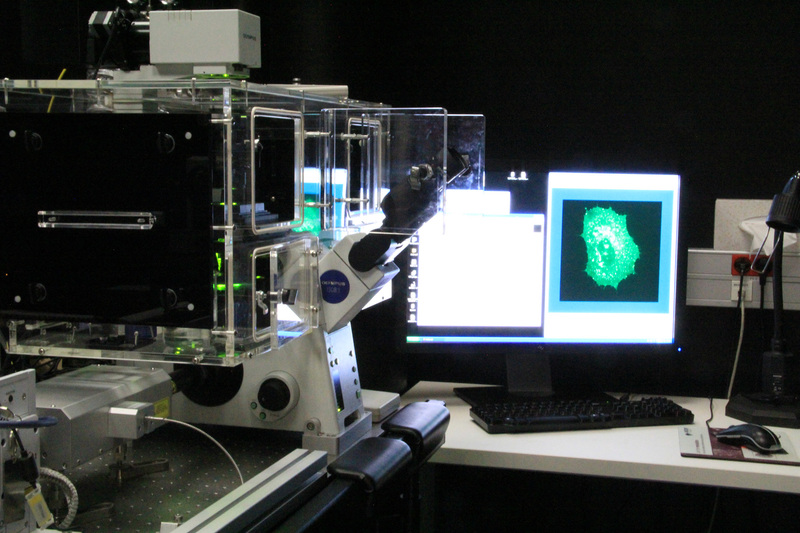 Figure 2: Live-cell imaging using a Spinning disk microscope.